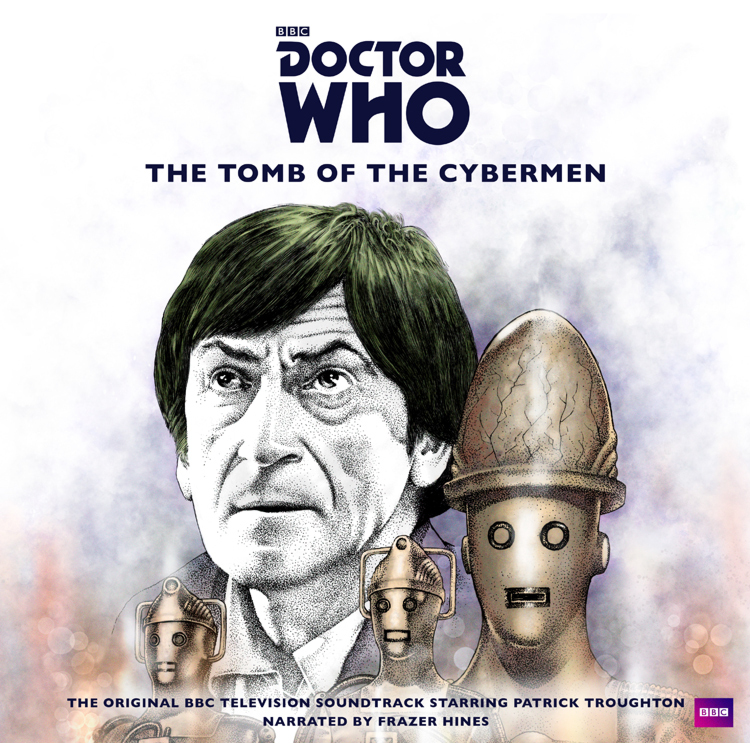 Exclusive to RSD2018, The Tomb Of The Cybermen is a classic Doctor Who story from 1967 featuring the second Doctor Patrick Troughton. Previously unreleased on vinyl, the story is two hours long spread across 2LP heavyweight silver vinyl, and featuring newly commissioned gatefold artwork, sleeve notes and on set photos. 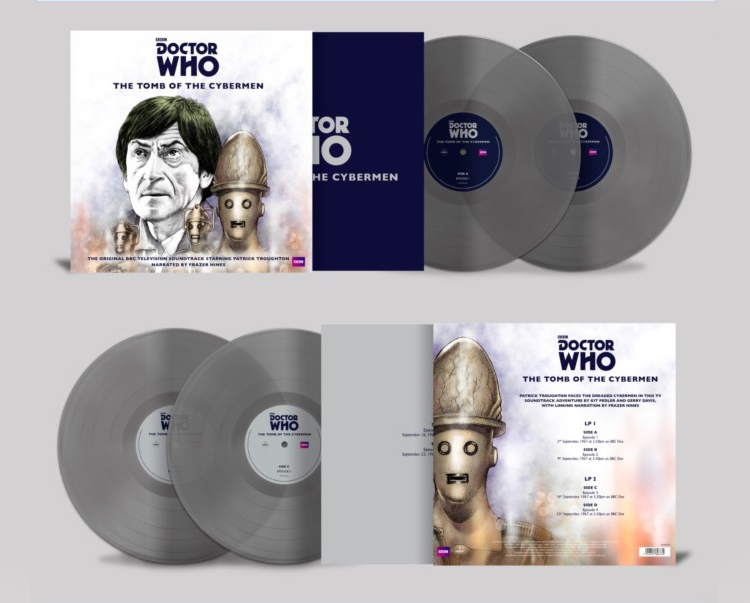 The Doctor faces the dreaded Cybermen in the digitally remastered soundtrack of the classic BBC TV story, with linking narration by Frazer Hines. It has legendary status amongst Whovians as the serial was believed lost for many years until discovered in Hong Kong in 1992.The action of The Tomb of the Cybermen follows directly on from that of the preceding serial The Evil of the Daleks, with the Doctor and Jamie welcoming the newly orphaned Victoria aboard the TARDIS. Commissioned as Doctor Who and the Cybermen Planet, this was the third encounter between the Doctor and his half-human, half-machine foes. It was co-written by Kit Pedler, who devised the Cybermen in The Tenth Planet, and Gerry Davis, the story editor who had helped develop them. This is limited to 3000 units worldwide. If ‘exclusive to RSD 2018’ how come Amazon is going to be selling them … and for less than I paid at my local record store on the day!? It very silly (and very brilliant) but my Hubby got up early,left at 5am, woke me up with a phone call at 8.30. The queue was 100 strong , some having been there overnight, or from 3am. He still managed to bag Tomb..missed City by moments. And yes as whoRules says. I have read, seen, read, seen, lstened, read, listened etc etc. , and i opened it, and have heard parts one and two(disc one) and it sounded like the freshest new who since enemy & web dvds. a new treasured item. ps; the sticker says Behind the scenes photos. there are 2 pics. The tomb pic and the doorway pic. dont think these are behind the scenes , more like publicity /BBC photos . Always fun to watch/listen/read tomb. Glad you enjoyed it in another format. My friend got both and says they look lovely on his shelves! They’re so hard to get hold of. In North Wales only 2 shops!! Jamie looks at the head of the Cyber controller on the cover. How many versions of stories are who fans willing to buy! How many versions of stories are who fans willing to buy? You’ve got me wrong boo boo, of course lp collectors will buy it, I’m sure it will be very nice, i was just saying there has been a lot of versions. Note I’ve bought multiple versions of this already. I never said it should not be released. Oh and a mate of mine is buying this. He doesn’t have a turntable. He’s only buying it to have it on a shelf. Nothing. I keep saying I’m not complaining. How many versions is a genuine question. I’m curious to know which story individuals on here have the most versions of? For me it’s shada, bbc novel, bbc script book, new zealand novel, 2 versions on dvd i also used to have the video, and the big finish cd but no longer have those. So i own 5 versions of shada. Nothing wrong with it. Nothing odd, it’s what we collector’s do. … and don’t forget the Titan Script book from the late 1980s. I forgot that, and i have it! Ok… slightly weird. But the artwork is neat to be fair. Oh congratulations! While I’m not interested in the vinyl itself (I spend a lot of money on things DW, but even I have trouble justifying that to my wallet :P) but the artwork is utterly gorgeous.